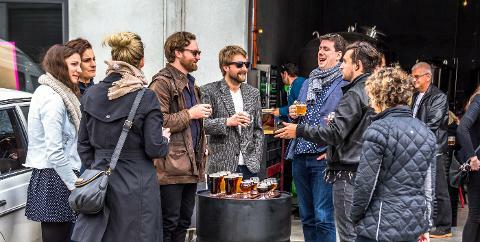 Our Drink Tasmania WHISKY & BEER HALF DAY TOUR immerses you in 3 of southern Tasmania’s best craft beverage experiences. SULLIVANS COVE DISTILLERY / LAST RITES BREWERY / LARK CELLAR DOOR. 1. Lark Cellar Door – Home to the Godfather of Tasmanian Whisky Bill Lark. Here we will have a dram of Lark Classic Cask single malt whisky and learn why Tasmania is now producing some of the finest whisky being produced anywhere in the world today. Your guide will take you through the past, present and future of distilling in Tasmania. 2. Tasmania Distillery, Sullivans Cove Whisky – Producer of the World’s Best Single Malt Whisky in 2014 as judged at the World Whisky Awards in London. This distillery really put Tasmania on the map globally and has raised the profile of Tasmanian whisky everywhere. We’ll tour the distillery in full, see the stills in operation, view the bond store and of course taste three of their best whiskies. 3. 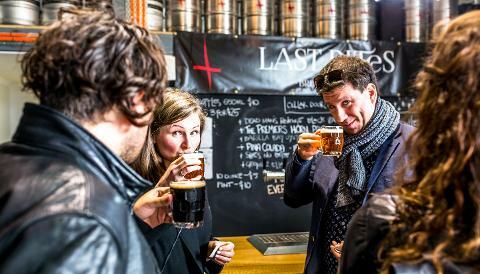 Last Rites Brewery – To finish the day, we’ll visit one of Tasmania’s newest craft producers the Last Rites Brewery, named as such as it backs onto a grave yard! Here head-brewer Phil and his team are passionate about their beer, we’ll taste a paddle of 4 beers and learn about their brewing process, the malts and hops they like to use and their seasonal favourites including the Premiers Horn Pale Ale, brewed in part by non-other than Tasmania’s Premier himself! The tour will conclude back at the Lark Cellar Door where you’ll have the opportunity to purchase bottles of whisky at discount rates and where you’re welcome to join any after tour drinks with the team and hear about the best restaurants and bars in Southern Tasmania. When: Every Thursday, Friday and Saturday. Check the calendar for upcoming available dates. Approximately 3.5 hours. Where to meet: Lark Cellar Door, 14 Davey St, Hobart at 2pm (next door to the Hobart Tourism Information Centre). You will meet your guide at the bar inside the building. End of Tour: approximately 5:30pm at Lark Cellar Door, 14 Davey St.